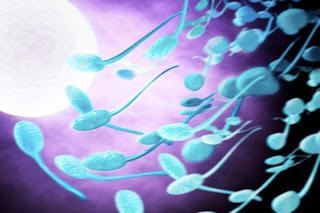 While it’s just as likely that infertility is related to the male half of the couple, only 20% of men in duos struggling to make a baby get a sperm-count analysis early on or at all, according to data from SpermCheck Fertility, which earlier this month announced the availability of its at-home screening test for men. SpermCheck, which is approved by the U.S. Food and Drug Administration, assesses sperm count with 98% accuracy in 10 minutes and does away with the unpleasantness of conjuring up a sperm sample in a doctor’s office. -- Tells the family-building journeys of eighteen couples who struggle with infertility and how they find their happy endings. Written with honesty, humor, and compassion, Infertility Journeys weaves the stories of women and men together with a wealth of information about fertility treatments, and the emotional struggles couples experience. The book offers hope, encouragement, and inspiration, helping women and men to process unmet expectations and to navigate their family-building options. Overflowing with ideas and suggestions. Start reading Infertility Journeys on your Kindle in under a minute!